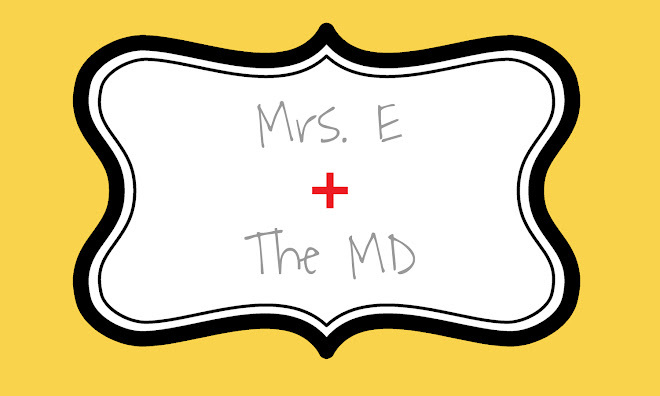 Mrs. E and the MD: 37 Week Update! I had a pretty interesting doctor's appointment today! Not only was the baby's heartbeat in the 170's because, in my doctor's words, "he/she is having a party! "...but I also found out that I am dilated to almost 5 cm right now. I am totally shocked and can't believe that I am that far along. I was hoping for 1 cm. I am feeling a healthy dose of reality right now, and I can't believe that the baby is going to be here in 3 weeks or less! Other than that, the first day of ISTEP seemed to go OK. Let's hope the kids do well tomorrow and Thursday. I will definitely update if anything crazy happens (like....I go into labor! )!